treasure to China as well. However, the future is on shaky ground for the beautiful bears. Due to the economical progression of China and poaching, the habitat is growing smaller while at the same time, poachers are killing the Giant Panda for their sleek coat. In 1981, Giant Panda populations were reportedly reduced to 50% of their numbers from 1972. In 2004, Panda populations increased 40% or approximately 1600 Pandas living in the wild. Although extinction is a natural process of the various habitats and wildlife in the world, the Giant Panda is nearing extinction too rapidly. Estimates by the World Wildlife Federation, report that the Giant Panda is declining up to 1,000 times faster than the normal extinction process. Biodiversity is preserved by saving the Giant Pandas as well. Protecting other animals, vegetation and bamboo fields benefit from the protection of Giant Pandas. The bamboo the panda eats grows as the panda eats it and spreads seeds throughout the landscape where the panda lives. Awareness of the situation has brought together local and worldwide governments, individuals and federations in a collaboration to protect the Giant Panda by protecting more land that the panda lives in and protecting the panda from poaching. 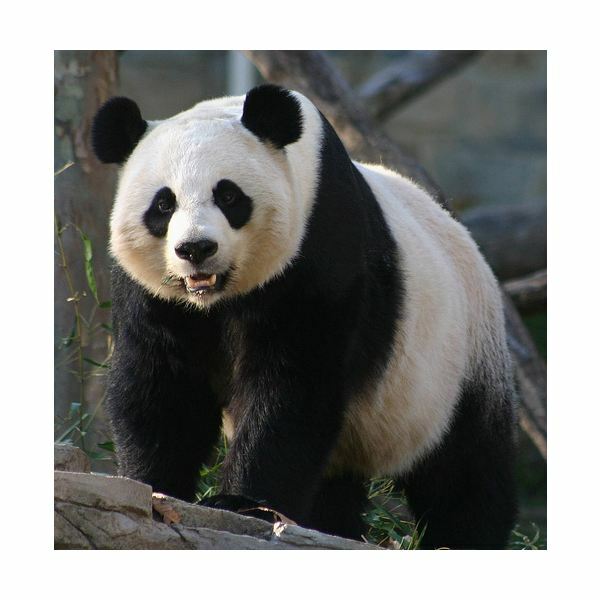 By 2012, it is hoped that the Giant Panda population will have increased 10% and the natural habitats increased by 80%. There are several ways to help save the Giant Panda. Donations are accepted throughout various websites and Government Agencies. Donations are used to train and hire individuals to protect the preserves from poachers and illegal logging, working with the Giant Pandas, medical care and construction. Volunteer to help with the preserves and/or agencies. Extra hands are always encouraged for anything from phone calls to physical labor. Visit panda.org for a more intensive overview of the Giant Panda. While exploring the website, find an area that is interesting and get involved to help save these unique animals. Living in harmony with nature and preserving the world for future generations is critical.